If I had 1 tip to pass on to each of you in regards to the Clif bar, that would be to wait until the warm up from being out in the cold before you eat them. 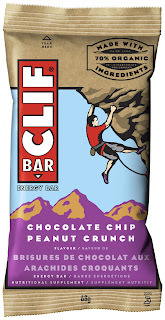 They will be much easier to eat and then you will truly get to appreciate the splendor that is the Clif Bar. You might remember my review of the Luna Bar last week, a nutritional bar designed for women. 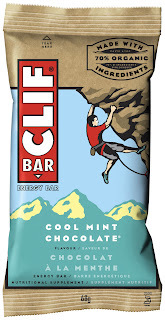 This bar was designed by a company called Clif bar. 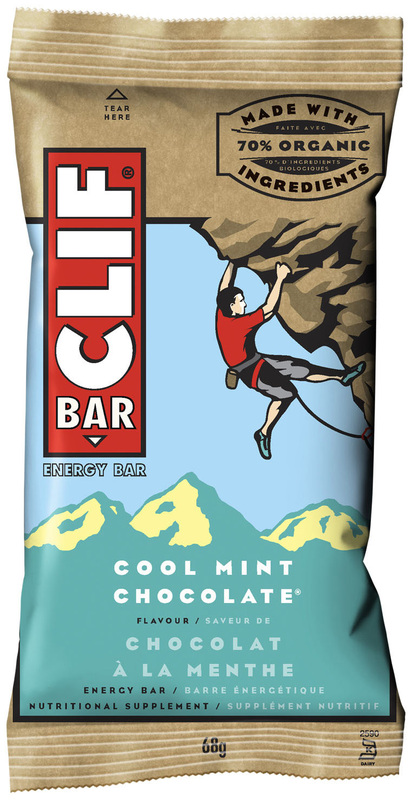 They have a vintage looking website and over 25 Clif Bar - Energy Bars to choose from. I was sent 3 flavors to review. The Clif bar is made with 70% organic ingredients and is made without trans fat, hydrogenated vegetable oils and high fructose corn syrups. They are also commited to using non-gmo ingredients. Upon opening each wrapper I noticed that each bar has that homemade cookie/square look, taste and texture. The Chocolate Chip Peanut Crunch bar tastes like a peanut butter granola square. It is made with Brown Rice Syrup and Protein Blend and various other yummy ingredients like Apple, Oat Fibre, Milled Flax Seed, Fig Paste and much more. The Cool Mint Chocolate reminds me of the holiday season and winter in general. Do you remember the chocolate mints with the cookie bottom? I'm not certain of the name but this treat is what immediately comes to mind when thinking of a comparable flavor and texture. The Peanut Toffee Buzz bar was delicious, however I found that unlike the other 2 bars the flavor wasn't immediate. You had to wait and the toffee and peanut taste both arose in time. 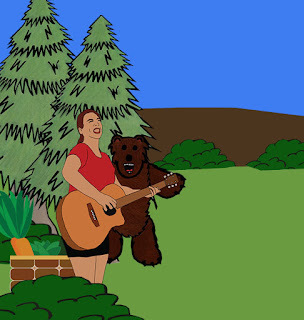 You can connect with Clif Bar on Facebook, Twitter and You Tube. Disclaimer: I received 3 Clif bars in exchange for my honest review. All opinions are my own and I received no other additional compensation for this post.